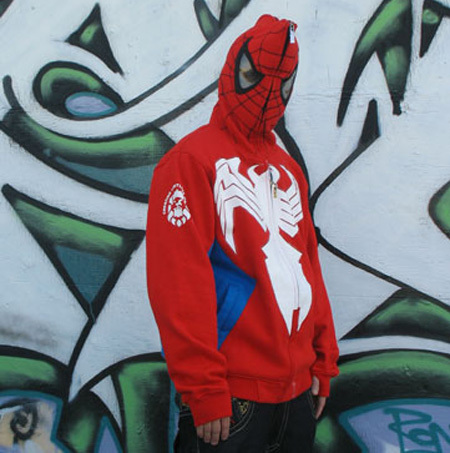 Collection of unusual hoodies and creative hooded sweatshirt designs from all over the world. 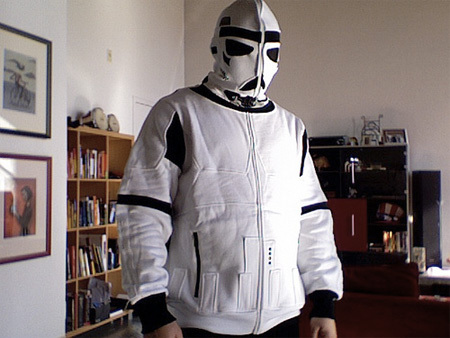 The Real Trooper hoodie from Marc Ecko features “Storm Trooper” body and the hood that looks like a mask. Tim Dubitsky has designed “hood.e” - creative solution to bringing music to your ears without blocking everything else out. 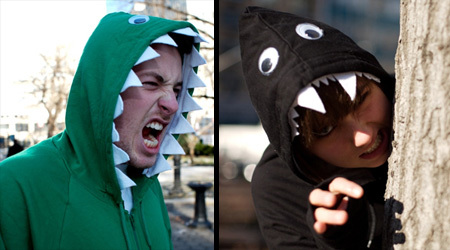 Clever handmade hoodies that will turn you into a cute monster. 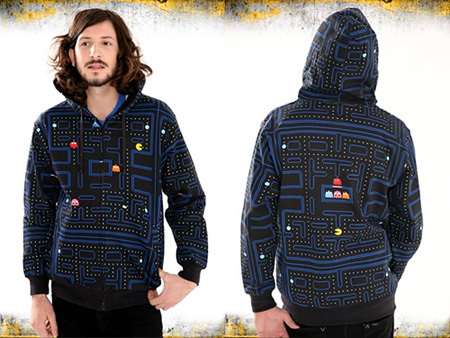 Creative hoodie design with Pac-Man maze pattern that goes all the way around the sweatshirt. 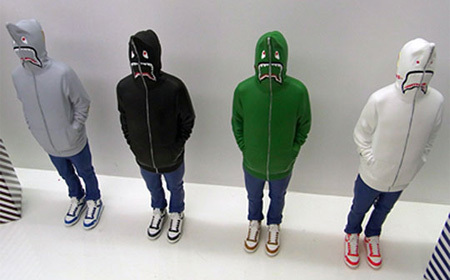 Unusual shark hoodies designed by BAPE for Teriyaki Boyz. 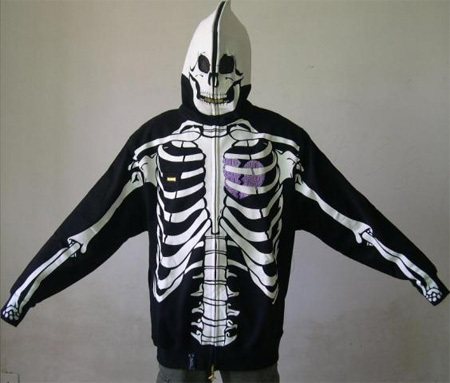 Unusual hoodie design that will scare everyone around you. 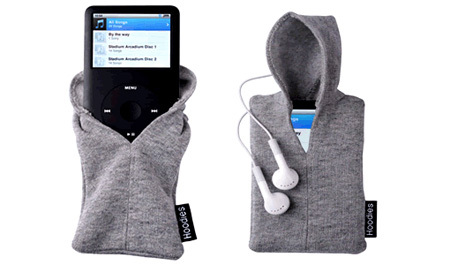 Give your Apple iPod some style and a bit of attitude. 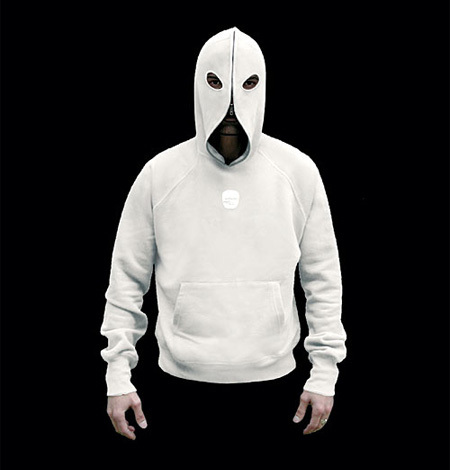 Stylish and unique hoodie designs that will hide your identity. 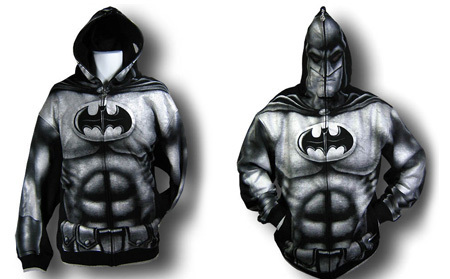 Full blown image of Batman screen printed on a black hoodie. 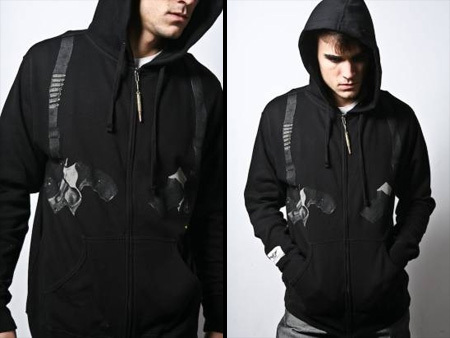 This creative urban hoodie features cool gun holster design. Limited edition women’s polar bear hoodie by Rocket World.